Byte is proud to have been named the winner of the prestigious Innovative Uses for ScienceLogic award. This is one of three awards announced at the ScienceLogic Symposium in Washington DC this month recognizing and celebrating top IT organisations displaying exceptional innovation, leadership, and collaboration incorporating ScienceLogic technologies. 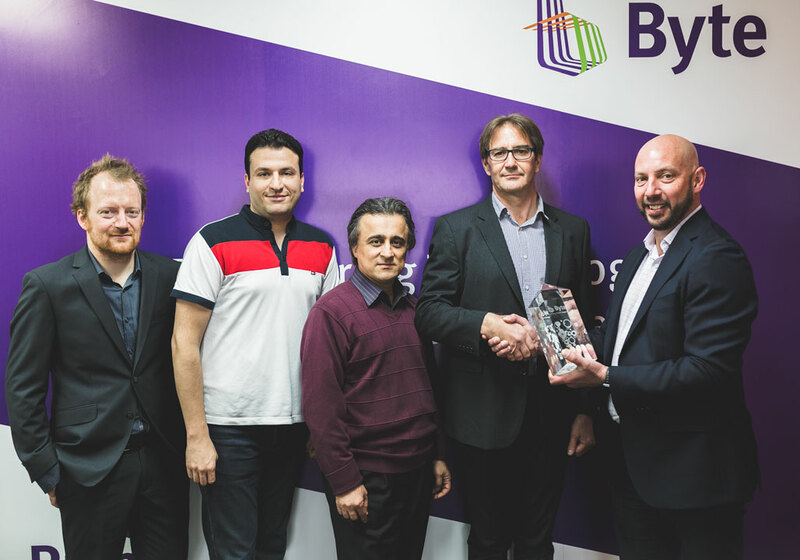 Byte was awarded for “Outstanding Product Integration”.